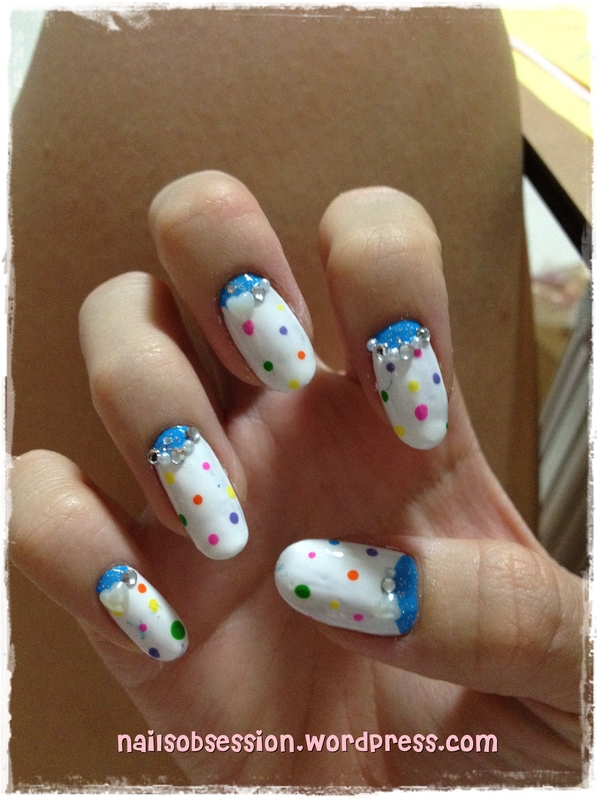 ❶❹: Birthday polka dot nails! 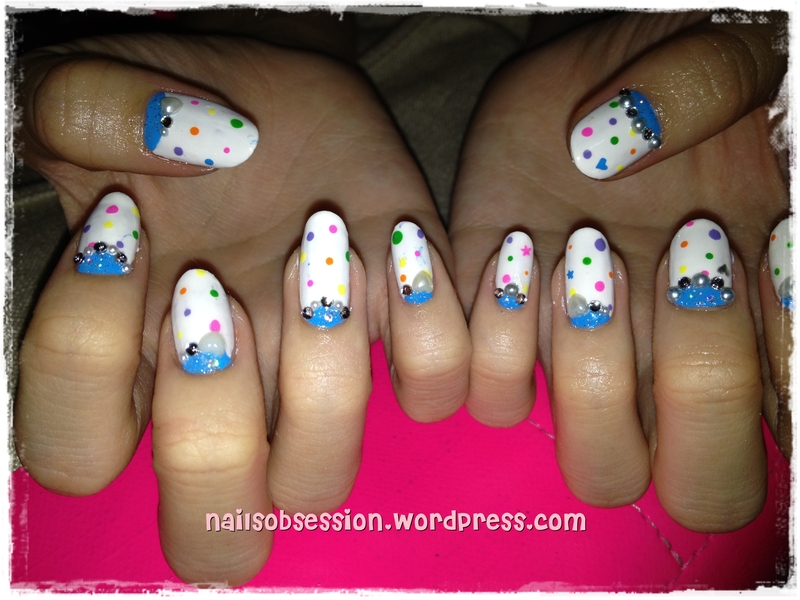 Had to change out of my Dollywink nails as most of them had chipped off! I’m so tempted to start my Gelish collection every time I see them chipped off, sigh. Furthermore, my nails will be stained whenever my nails are in contact with acetone.. Will probably start offering gel/acrylic services next year when I complete my gel module! Without flash (Colour truer to without flash pic) Close up. I think I will change out again soon, don’t really fancy the results of this design..